The Dakota 414 is a large towed top-dresser with a huge 3.25m³ capacity hopper. It will handle both wet & dry material allowing light to heavy dressing and can easily be loaded with an 1.8m tractor bucket. It features accurate and easy calibration with no manual adjustment. 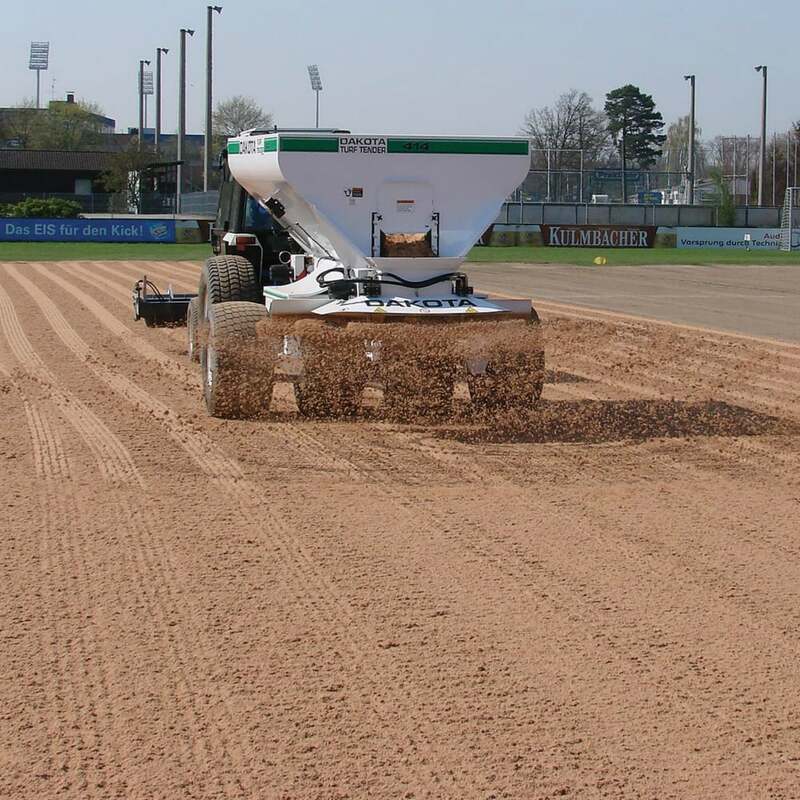 The cab mounted console allows variable spreading width up to 13m wide via the dual spinner system. The 414 features 4 x 20” Supatrac turf tyres on independent floating beam axles for maximum flotation. Full electric / hydraulic controls.